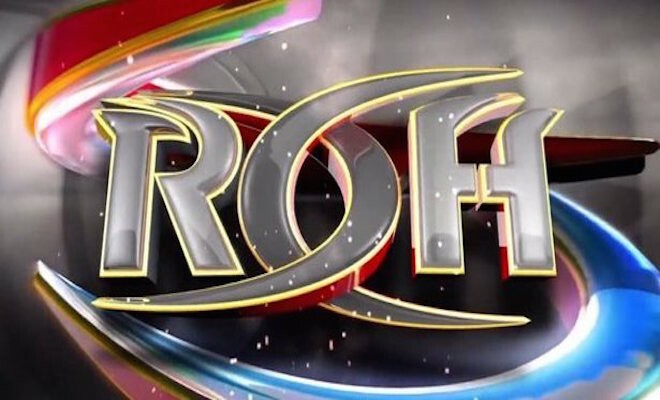 Once again, Ring of Honor got the absolute most out of its 60-minute program by maintaining a good balance of quality storytelling and quality action in the ring. The quality storytelling Wednesday took place in the opening match, as Silas Young and the Beery City Bruiser teamed up against The Young Bucks. As usual, Young had Dalton Castle’s Boys in tow and had them sporting a new look of tank tops, blue jeans and sunglasses. The match itself was secondary to everything The Boys did participate from the outside, as they fanned both of The Young Bucks when Young wasn’t looking. The only problem was that they didn’t have their peacock feathers, so they simply used their hands. Eventually, Young got tired of wrestling The Young Bucks and sent The Boys into the ring to finish the match. Somehow, The Boys are two of the few men on the Ring of Honor roster that can make The Young Bucks look like big guys. Because of this, The Young Bucks used power and experience to easily topple The Boys. The Boys had their fleeting moments of hope, but they were to no avail. To prepare for his ROH World Television title match against Jay Lethal, Roderick Strong got a good match with Will Ferrera. Strong came out on top, which helped him gain momentum for his coming title match. The main event featured Adam Cole of The Kingdom against Kyle O’Reilly of reDRagon and AJ Styles of The Bullet Club in a triple threat match. All three men came to the ring with their teammates in tow, but matchmaker Nigel McGuiness got on the microphone and sent everyone but the competitors to the locker room. What ensued was a very entertaining television main event. The match included a lot of unique spots that incorporated all three men doing something at the same time, but in the end, Cole used a super kick to the back of Styles’ head and a neck breaker to O’Reilly to get the win. Cole’s running mates in The Kingdom ran to the ring after the match to do extra damage to Styles and O’Reilly, but were quickly thwarted by Bobby Fish, Michael Elgin and The Young Bucks. Eventually, The Young Bucks threw a super-kick party on The Kingdom, which left The Bullet Club standing tall to end the program.